“On human rights and media freedom problems, Vitharana instantly became offensive, and regretted that the international community did not understand the situation on the ground. He praised the President as being ‘admirable’ on improved relations with countries such as Iran, Libya and China when the west was so weak now economically speaking” the US Embassy wrote to Washington. “He thanked the U.S. for pushing Sri Lanka closer to China which represented the economic future.” The US Embassy further informed to Washington. A leaked US unclassified, but “SENSITIVE” diplomatic cable, recounts details of meetings the US Senate Foreign Relations staff members has had with the senior government officials, international organizations, political leaders, civil-society activists, and journalists between November 2-8, 2009. The Colombo Telegraph found the cable from WikiLeaks database. The cable was written on December 1, 2009 by the US Ambassador to Colombo Patricia A. Butenis. The US Ambassador wrote “ The StaffDel met Minister of Science and Technology and All-Party Representative Committee (APRC) Chairman Tissa Vitharana, who emphasized the need for sustaining peace, working towards a political solution and empowering the people. The key goal of APRC was permit the devolution of powers to the provinces under the 13th Amendment. 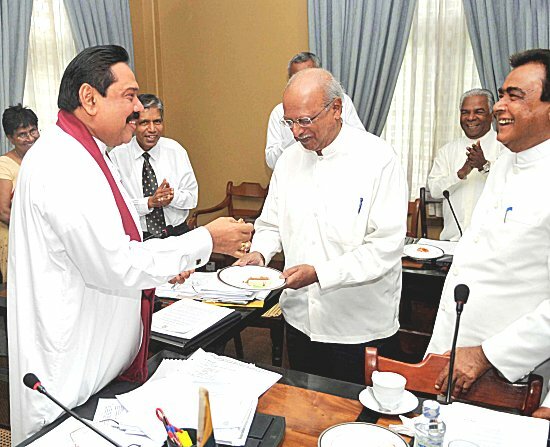 He informed the StaffDel that the APRC had submitted its assessment report to President Rajapaksa and was awaiting the Presidents response and comments.” “ Vitharana criticized the 13th Amendment as an Indian creation, but found some useful elements in the 17th Amendment. His goal was to simplify and streamline the government, giving more power to traditional village councils. This would give proper representation to small ethnic enclaves scattered throughout the country. He commented on his recent meetings with diaspora representatives in Europe as prat of his work with ethnic community.” she further wrote. The Colombo Telegraph publishes the relevant part of the leaked cable below. resettlement. Recognizing SL's geo-strategic importance to the U.S.
resettlement and demining. END SUMMARY. - this would have gone on for centuries, an additional 60 years." argued that even India did not request monitoring of SL's progress. only those "that could be truly trusted." groups, rehabilitation of child soldiers, and economic development. plans in the North. He regretted that SL was "poor at propaganda"
was at a "golden moment" for building national reconciliation. Lanka closer to China which represented the economic future.